How many of you haven’t managed to get out into your yard yet? Is the prospect of working on a project you have too daunting? With Owatrol, there is always a solution! Whether you have a deck that has turned gray and needs a good clean, a shed that is peeling and needs repainting or perhaps some garden furniture that needs a little bit of TLC, we will have a product for you! 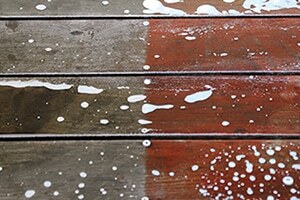 Prepdeck is a professional grade stripper & cleaner specifically designed for the removal of solid and semi-transparent stains, removal of mill glaze, unsightly wood stamps and other finishes from exterior wood. 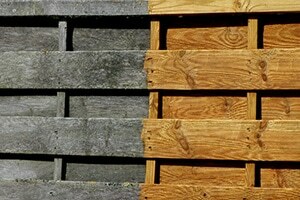 It is ideal for use on fences, decking, garden furniture and more. 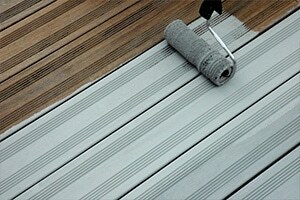 As Prepdeck is a high-grade stripper, you will need to use Net-Trol to neutralizse the wood after you have used it. This is an important step and must be carried out as it stops the active ingredient in Prepdeck from continuing to work. Prepdeck is available in a 2.5 liter size. Net-Trol is a powerful wood cleaner and brightener which restores grayed and weathered wood to its natural color. It effortlessly removes surface and ground in dirt leaving the wood looking bright and vibrant. 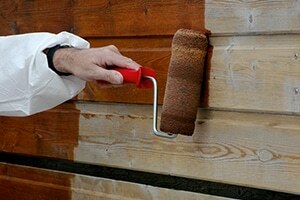 Fast acting, it can restore the color of your wood in as little as 15 mins! One of the things we love about Net-Trol is that it is biodegradable and does not contain solvents or bleach. This means that it’s not harmful to plants and shrubs so it’s safe to use in the garden! Net-Trol is available in 1 & 2.5 liter sizes. Textrol is a penetrating wood oil finish for exterior softwood and hardwood on both horizontal and vertical surfaces. This offers long-lasting protection from the effects of weathering and pollution. Instead of hiding the natural beauty of the wood, Textrol enhances it. Textrol is applied wet-on-wet, which saves time as you don’t need to wait for coats to dry during application and the maintenance is easy with local touch-ups and no laborious sanding required! Textrol is available in 1, 2.5 & 20 liter sizes. 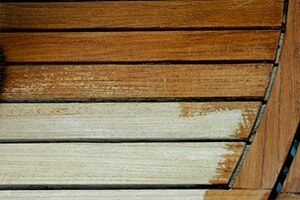 Solid Color Stain (SCS) is suitable for use on new wood, weathered wood and even previously treated wood. The SCS range is available in 10 stylish colors and is incredibly easy to use with just 2 coats needed in most cases. Maintenance is also easy; simply clean the effected area and repaint – no stripping or sanding required! SCS is available in 1, & 20 liter sizes. Aquadecks is a penetrating water-based wood finish that leaves a long lasting, rich, matte finish for all woods, including exotic hardwoods. It saturates and stabilizes the wood from within, resulting in minimal cracking, warping and other damage caused by the weather. Suitable for interior or exterior use and works perfectly on horizontal and vertical surfaces; such as decks, outdoor furniture or cladding and can be applied directly onto new or weathered wood. Aquadecks is available in 2.5 & 20 liter sizes. If none of these products are suitable for you, we have a very handy Product Finder function on our home page which can help assist you with finding the right Owatrol product for you and your project. Take a look and see what is the right solution for you. 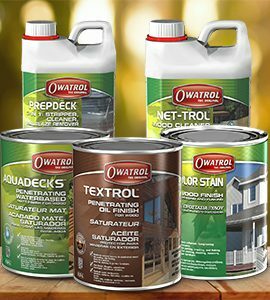 *Owatrol International warrants SCS against peeling on wood decks for 5 years and against cracking, peeling and flaking on wood cladding for 15 years from the date of purchase if it is applied on bare wood to a properly prepared surface according to label directions. For full terms and conditions, please contact us.